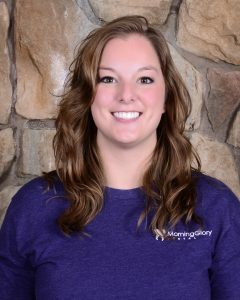 Brittany has been with the practice since she was a patient of six years old. As she grew, she was always fascinated by teeth. At the age of 18, she had spent more than 80 hours job shadowing with Morning Glory Dental. She knew then that she wanted to pursue a career in dental hygiene. She graduated from Central Community College in Hastings with an associate’s in dental hygiene. She helped at Morning Glory Dental for three years before coming on the team full time in February 2017. Shortly after graduating from CCC, Brittany and her husband moved to Waverly. In the summer months, she enjoys recreational sports such as volleyball and kickball, camping, and water sports with her friends. She is also content, in the winter months, to spend time with family and cuddle up with her kitty while enjoying a good movie. With his warm personality and a calm demeanor, Matt’s care will set you at ease. He took a non-traditional route to the field of dentistry, starting as a high-school science teacher. After three years of teaching biology and health sciences, Matt wanted to have a more direct impact on the health and education of those around him. In June 2017, Morning Glory Dental provided that opportunity, where his light hand and dedication to overall health could leave patients feeling delighted with their dental hygiene visits. His special interests include Husker sports, video games, movies, and most importantly spending time with his fiancée. Ryan has been improving our patients’ oral health since 2011. He grew up with a dental phobia and worked through this issue to help those with the same concerns. With his fun personality and dedication to understanding your oral health needs, Ryan helps each of his patients feel comfortable and calm during their appointment. 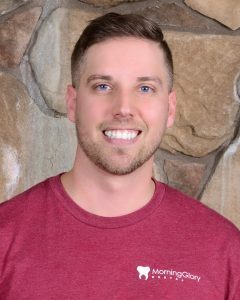 Ryan graduated from Nebraska Wesleyan University in biology; from UNMC in dental hygiene in 2010; and from Doane University in 2015, with a master’s in management that he uses to help the practice as our dental hygiene manager. 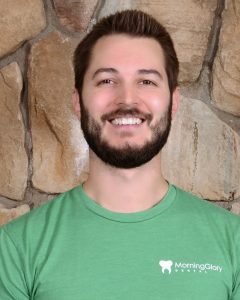 Ryan is happily married to his husband, and in his spare time, he enjoys consulting, speaking, volleyball, drawing, reading, playing the piano, and walking his two dogs. Jane brings a passionate commitment to quality care and a desire to understand the needs of every patient she works with. She has been with Morning Glory for more than 30 years, having joined the practice after graduating from the UNMC College of Dentistry with high distinction. She values relationships formed with long-time patients and families, and also enjoys working with new patients of all ages, including young children and people who are nervous about dental treatment. Outside the office, Jane enjoys running, biking, tennis, sports, traveling, live music, church involvement, being outdoors (whether she’s kayaking on a local lake or hiking in national parks), and enjoying life with her husband Mike and three children: Kristin, Alex, and Lauren. Accassia joined our office recently, though she’s worked as a certified dental assistant since 2011. You can find her in our back office where she serves as our hygiene assistant, and helps keep our hygienists on schedule to make their days go smoothly. Accassia enjoys working with awesome people every day and being a part of improving our patients’ oral health. Outside the office, Accassia enjoys supporting her son Zaidyn in wrestling and cub scouts. 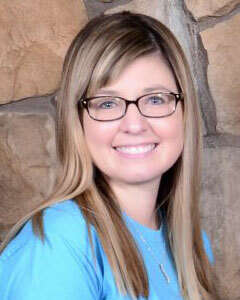 Kristi has worked at Morning Glory Dental since 2007. She assists Drs. Reiners and Kerns with patient care, and always has our patients’ comfort in mind. Kristi and her husband of a decade have two daughters and two dogs. 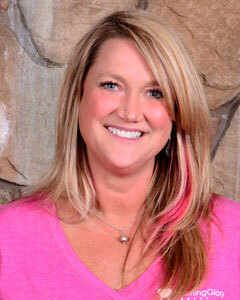 In her free time, Kristi enjoys spending time with family, fishing, and golfing. 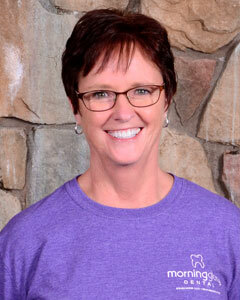 Sue started working in the dental field a long, long time ago and brought her years of experience to Morning Glory Dental in 1999. Over the years, Sue has gotten to know many of our patients and their families, and looks forward to catching up with them each time they visit. At home, Sue’s life is full, with her husband, two kids, five grandkids, and two grand-dogs. When she finds a spare moment, she likes to travel and play golf. Kara joined Morning Glory Dental in 2003. One of our dental assistants, she works alongside our doctors to provide exceptional patient treatment. Kara has been married for more than 15 years and has a family that includes two children, a dog, and a fish. Camping, traveling, boating, hiking, running, and Bible journaling take up her free time. 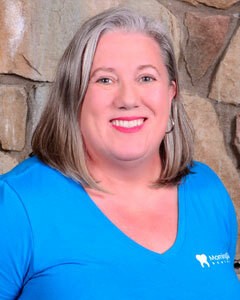 As our office manager, Janet does a little bit of everything, from submitting patients’ insurance to filling in at the front desk, to assisting the dentists. 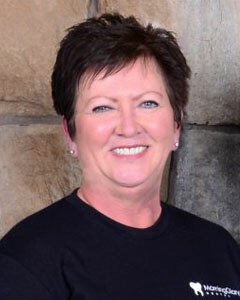 She graduated from Western Iowa Tech in Sioux City with her certification in dental assisting, and transitioned into an administrative role during her 20-year career. Janet loves the people she works with and considers them her family — patients and coworkers alike. Janet has been married to her husband Mike for nearly three decades. They have a grown son named Zach. Janet likes to stay active and especially enjoys kickboxing. When they’re not working, Janet and Mike visit their cabin in South Dakota, travel to Colorado, and cheer on the Huskers. Connie is one of our front desk coordinators. She greets patients, checks them in and out, and schedules their follow-up appointments. She also calls patients on their pre-treatment estimates and works with insurance companies to clarify questions on benefits and claims. 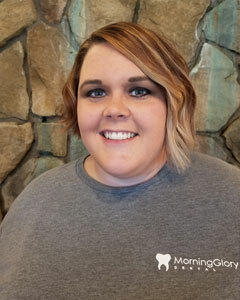 She joined the Morning Glory Dental team in 2012, but comes with previous front office dental experience. She, along with the rest of our team, works hard and is very professional, but also knows how to have fun. Connie and her husband Mike have been married for 36 years. They have two grown, married daughters and three grandchildren who are the center of connie's world. She also has a Maltipom named Ruby, who she is training to be a therapy dog. Connie's hobbies include spending time at their family lake cabin, checking out new restaurants with friends, sewing, and reading. 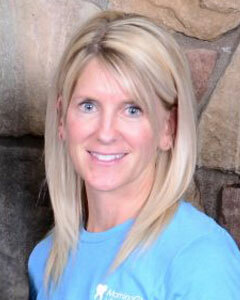 Kate graduated in 1990 from the dental assisting program at Southeast Community College in Lincoln. A member of our team since 2012, she schedules appointments, filing insurance, and greets patients, as well as coordinating with Nebraska Dental Sleep Medicine for patients who have sleep apnea and TMJ disorders. Her past experience includes assisting in general dentistry and oral surgery, and being a dental claims adjuster for a large insurance company. This gives her an edge when helping patients take advantage of their insurance benefits. Kate’s goal is to help all patients feel at home in our practice. Kate and her husband John have been married for 23 years–they have two children, Kylee and Dillon, and a dog, Molly. She enjoys camping, boating, shopping, traveling, and all activities with her family. Erin is our hygiene coordinator. 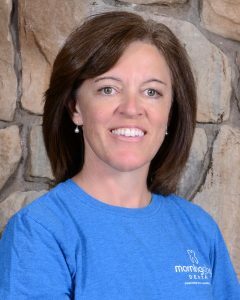 She keeps our hygienists busy and our patients on track with their dental care, in addition to coordinating our marketing and social media. Erin joined our office in 2017 as a leap of faith — she has high dental anxiety — but she knew that working with the MGD team would be worth it! Erin’s found her second home here in our fun, supportive, loving office. Erin has two kids: Alexis and Kade. Erin loves Husker sports, entertaining, going to concerts, and being with family and friends.